Hi, my name is Inge and thank you for looking at my page. I am a retired R.N. and live in Chattanooga, TN. 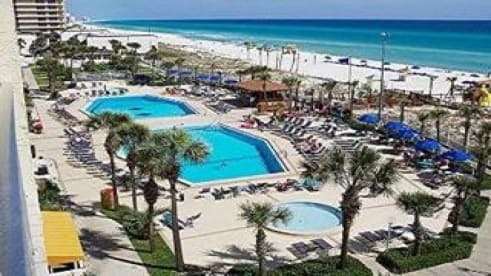 My husband was an Air Force Veteran of 21 years and we bought our condos in Panama City Beach in 1997. We and have enjoyed countless memories with family and friends there for the past two decades. We have seen Panama City grow into a beautiful community, with great shopping, restaurants, and attractions for families of all ages. Since his passing in 2010, I have enjoyed visiting our home away from home at every time of year and continue to rent our condos to new and repeat guests. Our family has been delighted to share our condos with hundreds of families, and have an incredible reputation and reviews from renters for our cleanliness and fast communication. We have enjoyed updating and rennovating our spaces over the years to keep them cozy and fresh, and want you to have the best experience possible. Feel free to contact me with any questions. I look forward to hearing from you and hope you have a great vacation!